Have you found an online vendor selling Bundaberg Reserve? Had this bottle while in Australia. Not for kids. Strong, powerful rum. Satisfied. First of all I do like this rum as a mixer with cola. This is way better than the regular Bundaberg. This is pretty rough as a straight sipper, so cut it with citrus or just grit it out with the fellas. Enjoy.Enjoyed this in Australia. I had an amazing opportunity to try a dozen different unopened Bundaberg's with my Aussie colleague last year and the Reserve Bundy is very good with coke, but has quite a unique flavor and strong afterburn, so I would not recommend neat sipping this one. Bundaberg Rum has quite a different flavour to other rums, but when you're used to that this is good stuff! 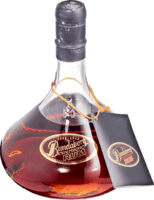 This here was the best value for money Rum personally for me. I loved this one. This ranks about 4th or 5th out of all the Bundaberg Rums i have drank. Wish I got more of these when they were 40 bucks a bottle. However, they stopped production of this about 5 years ago and to get these privately is around $80-$100 per bottle. Which in my opinion is not worth it for that price. Not a sipping rum. Goes beautiful with plenty of ice, and a dash or 2 of coke. Very oaky, but has wonderful rich chocolate flavours. I bust out a bottle of this everynow and then as a special occasion.